Two years ago, a team of scientists announced with great fanfare that they'd found the cause of chronic fatigue syndrome: a mouse retrovirus called XMRV. There were many media reports and much excitement, and at least a dozen studies were launched to look for this virus in more patients. Unfortunately for patients, the findings turned out to be seriously flawed. "At this juncture, Science feels that it would be in the best interest of the scientific community'' for the co-authors to retract the paper." In addition, the editors published an "expression of concern" this week, which is their way of warning everyone that the results are wrong. Judy Mikovits, the leader of the study, steadfastly insists that she is right and all the others are wrong. "It turns out that a common tumor cell line called 22Rv1 is infected with MLV-X. It also turns out that all the XMRV sequences from human patients are far more similar to the exact same strain of MLV-X that is in the mouse cell line. The tumor cell line was in the lab doing the experiments: ergo, it's contamination. Elementary, my dear Watson." Two new papers in Science this week found the same thing. One of them, titled "No Evidence of Murine-Like Gammaretroviruses in CFS Patients Previously Identified as XMRV-Infected" looked at patients who had tested positive for the XMRV virus, and found that they didn't have it all. The second study provides new detail on how the XMRV virus got into the cancer cell lines. "The WPI owns a company that charges patients up to $549 to be tested for XMRV, and Mikovits believes that patients who test positive should consult their doctors about getting antiretroviral drugs normally prescribed to those with HIV." This is a blatant conflict of interest, and it perhaps explains some of Mikovits' stubbornness. It gets worse. As Trine Tsouderos reported last summer in the Chicago Tribune, Mikovits claimed at the Autism One conference that XMRV also causes autism. She has no evidence to support this startling claim. Mikovits stated to the Tribune that "unless we do something now this (XMRV) could be the worst epidemic in U.S. history." Mikovits also believes there is a conspiracy against her. In March, she told Nature "I had no idea there was that much bias against this disease." Nonsense. 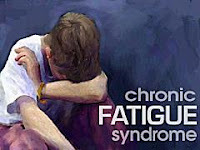 The collapse of the evidence about XMRV and chronic fatigue syndrome is just science doing what it is supposed to do: when a study cannot be replicated, then the hypothesis is abandoned and we move on. This is a classic tale of a scientist gone bad. Unfortunately for CFS patients, Mikovits is distracting attention from efforts to find the real cause. By speaking at the Autism One conference, she has joined the ranks of pseudoscientists and anti-vaccinationists. It's pretty clear now that she will never retract her findings, despite the pressure from the editors at Science. I can only hope that CFS patients, who are understandably desperate for a treatment, won't be fooled into taking ineffective and possibly harmful therapies based on the failed XMRV hypothesis.